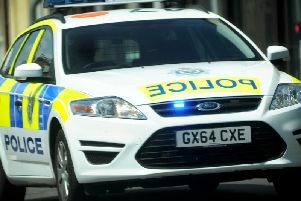 Car keys, jewellery and a bike were among items stolen during recent burglaries reported to Sussex Police in the Horsham district. - Hazelhurst Crescent Horsham between 8.15am and 9.30pm on June 7. - Itchingfield between 6pm on June 7 – 8am June 8. A rear window was forced open and tools were stolen. - Oakleigh Road, Horsham between 1pm and 1.25pm on June 12. Entry gained to a house via an insecure door. Nothing was stolen. - Roundstone Park, Southwater at around 9pm on June 13. Someone has entered an insecure caravan and stolen jewellery. - Butlers Road, Horsham, just after midnight on June 14. House was entered and several items stolen. - Honeywood Road, Horsham, during the night on June 14. Rear door forced, TV and wallet stolen. - Sayers Close Horsham on June 12. A pedal cycle was stolen from a garage.